We are a regional club out of Calgary, Alberta focused on empowering, enriching, and encouraging a positive and lifelong lacrosse experience. Our group of experienced and committed coaches, volunteers, and board members seek to teach and develop all of our players both on and off the field. 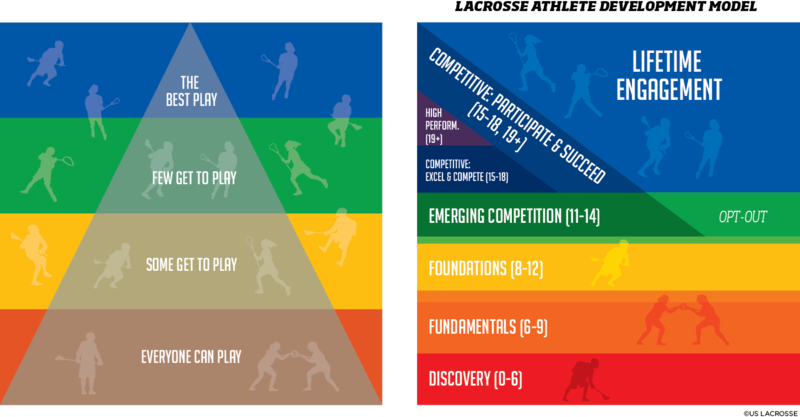 Our two-pronged approach comprised of a regimented athlete and personal development plan progresses players through the stages of athletic and social development. To empower, enrich, and encourage a positive and lifelong lacrosse experience. As a regional club, the Calgary Monarchs Lacrosse Club provides regional leadership, structure, and resources to fuel players' growth and enrich the experience of participants. Field lacrosse is a full contact, outdoor version of lacrosse, played with nine runners and a goalie. Field lacrosse is the fastest growing game in North America at every level. Men's Field Lacrosse is played outdoors on a field. Men's Field is very similar to Box in the fundamental skills of passing and catching, and the physical nature of the play. The games differ in the style of play and strategy. The game is more strategic and relies more heavily on possession and control of the ball. Women's Field Lacrosse is a quick, free-flowing game which is easy to understand and watch. The game is played on a 100m x 55m field with twelve players aside on the field. The full roster of a Women's Field team is 16-20 players. Unlike Men's Field or Box Lacrosse, Women's Field is a non-contact sport. There is no aggressive checking with either the stick or the body. This results in a game which has added emphasis on a fastpaced, polished game centered on ball movement. The Calgary Monarchs Lacrosse Club is a non-profit organization that acts as a recognized field lacrosse club in Calgary, Alberta. The Monarchs are a member of the Alberta Field Lacrosse Association and, by extension, the Alberta Lacrosse Association, and the Canadian Lacrosse Association. The Monarchs are committed to providing not only a safe and fun filled playing environment but also a sports environment that promotes equal opportunity and prohibits discriminatory practices.